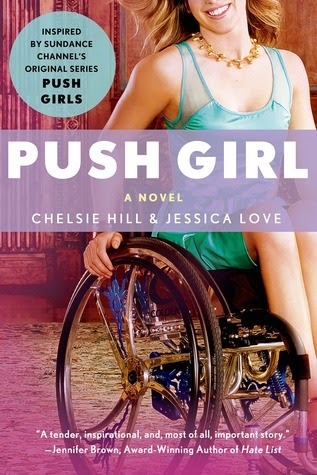 I am so thrilled to be celebrating with my friend Jessica Love today as her novel Push Girl is released! Diversity in books has been a huge topic of conversation lately, and this book provides just that. I can't wait to get my own hands on a copy this week, and I'm thrilled to have already found a copy in my library system's catalog. If you're looking for a contemporary YA book featuring a diverse set of characters, this is the one. Click here to see Jessica Love's Goodreads page and click here for her website where you can also find out information about her upcoming projects!